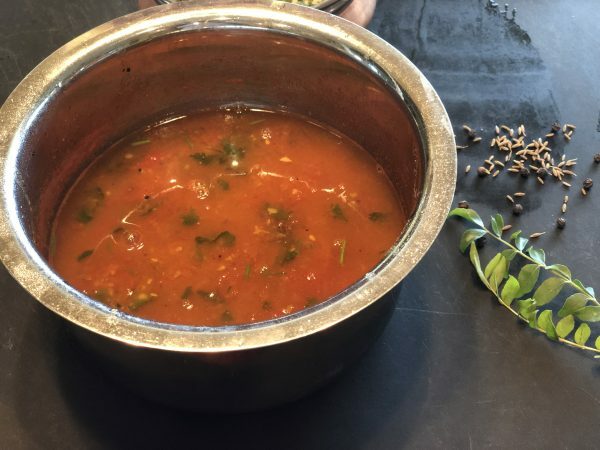 A real easy rasam (south Indian sour soup), comfort food that soothes an achy scratchy throat on a cold winter evening. 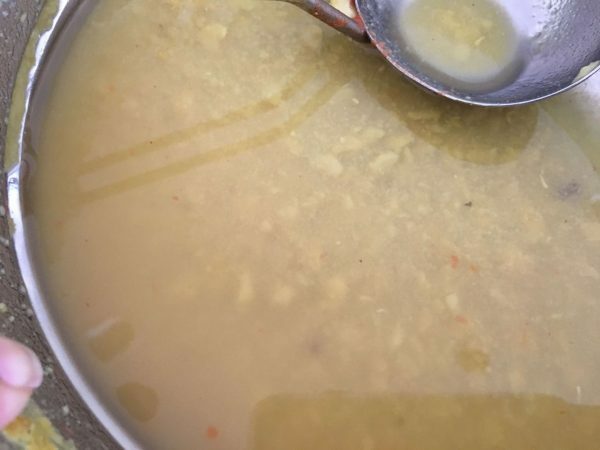 Can be made in about 15 minutes if you have cooked toor dal on hand. 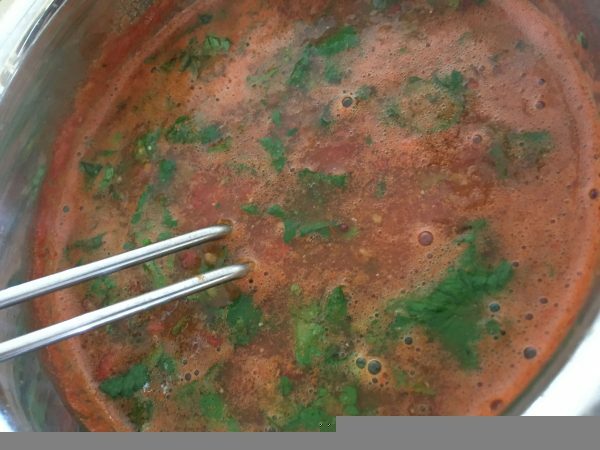 This is a recipe from Meenakshi Ammal's Samaithu Par volume 1. Legacy! 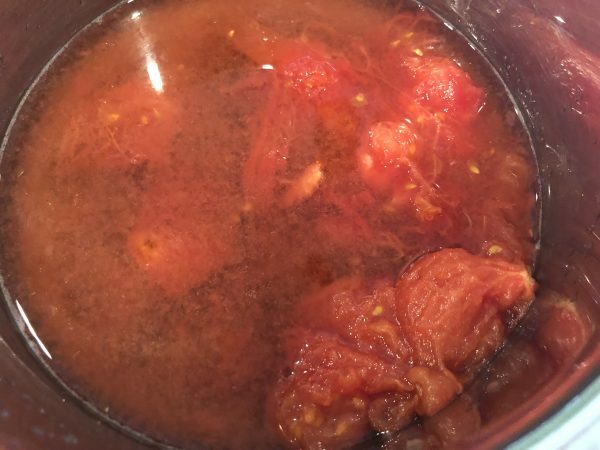 1/4 cup Cooked mashed toor dhal (yellow split peas) See recipe for how to cook toor dhal under "Basics"
Cook whole tomatoes in hot water until the the skin breaks, a few minutes. Peel the skin with a fork/knife and discard. 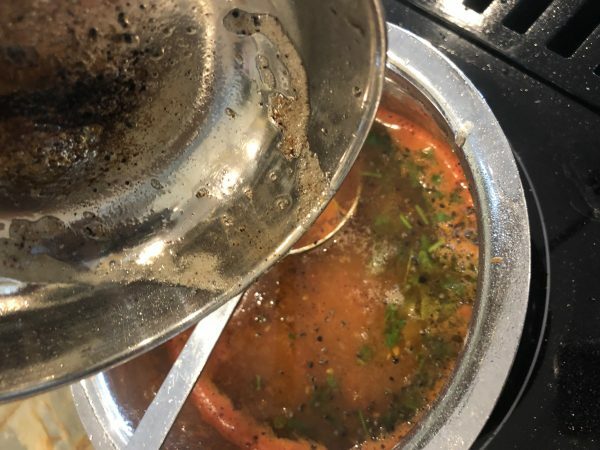 Heat oil/ghee in a small pan; When hot enough but not smoking hot, add the cumin seeds, black pepper and hing and turn the heat off; pour over the rasam. Enjoy with rice, best accompanied by beans curry flavored with coconut! This is a legacy, traditional recipe from Samaithu Par by Meenakshi Ammal. I have followed her recipe exactly, except one step. She adds lemon juice at the end, which I skipped. 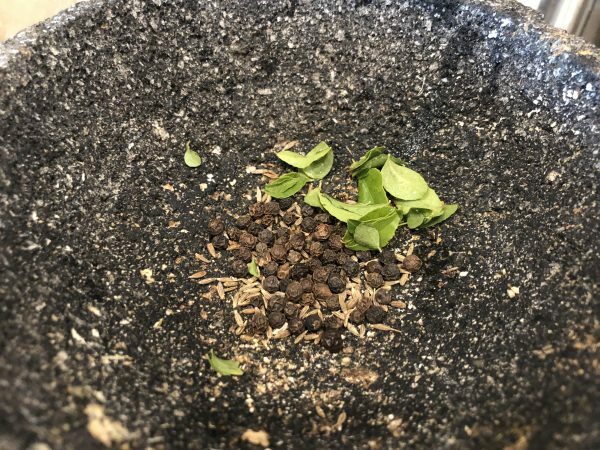 This is a simple recipe where you don't need tamarind or even prepapred rasam powder, and can be ready in a few minutes. 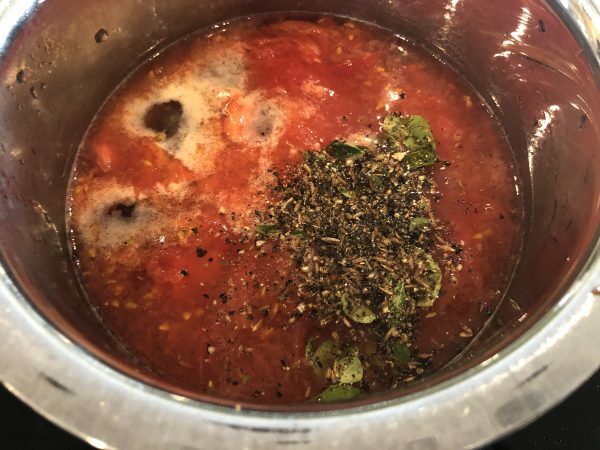 Fresh tomatoes are recommended, although canned whole peeled tomatoes can be used in a pinch.